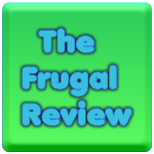 FRUGAL REVIEW: Samples, Sweeps & Coupons! Womens Shave Gel & Razor Coupons, Save Over $21! Free Sample of Rachael Ray Dog & Cat Food! Try a Brushee Pocket Sized Toothbrush for Free! Free Appetizer with the Margaritaville Fins Up Club!